Welcome to the Indonesia Tourism Forum, Where You Can Find Any Information About Indonesia. If in eastern of Indonesia, there is beautiful paradise that named Raja Ampat, while in western of Indonesia, there is "Banyak" Island. The group of islands in Singki Districtl, Aceh are like a virgin because of the beauty with unspoiled nature, in the form of clean white sandy beaches, crystal clear sea and blue sky. 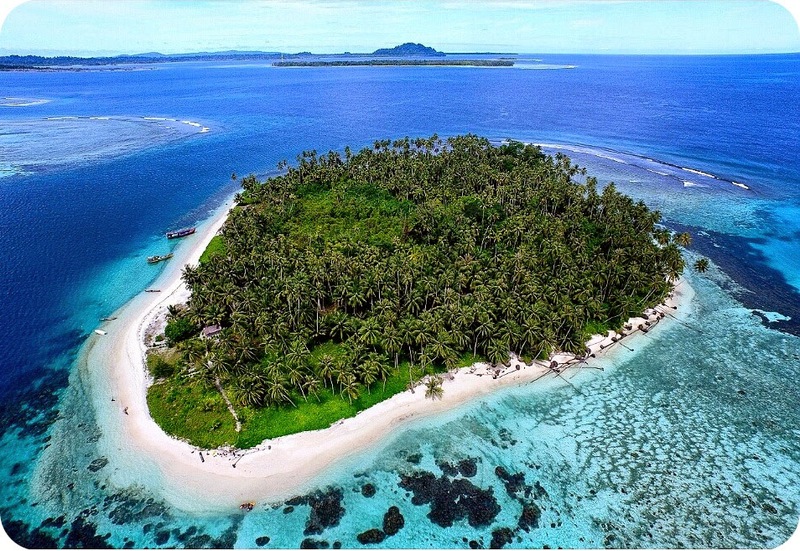 Banyak Island is one of the districts in Aceh Singkil. It is in the Indian Ocean, or about 20 nautical miles (37.04 kilometers) from the Sumatran mainland. The island consists of 99 large and small islands with inhabitants about 6,000 people with the majority of work fishermen. Banyak Island has a rich tourist potential. Almost all of the island clusters hete have a lot of clean white sandy beaches, such as beach on the Palambak Island. Expanse of white sandy beach in Palambak is stretch for more than 5 kilometers. It is suitable for playing with sand and sun to enjoy the sun rays. In some islands, there are points for diving and seeing the underwater scenery, such as coral reefs and colorful marine fish. One point dive in the water of the island is Tailani. In fact, because the sea is crystal clear, so that the underwater scenery can be enjoyed from the surface of the ocean without having to dive. Some of islands there also have a dream of sea waves surfers. For example, on the Bangkaru Island, there are waves of the sea with height average of 5-6 meters. Waves like that come every once a minute, especially when the west wind season is between the months of April to August. Many tourists are stopped by to enjoy the waves. In Bangkaru Island, there is also contained a green turtle conservation. In particular, many green turtles lay eggs there. Moreover, in a number of island clusters, there are many places to see sunrise and sunset. The sun is waking up and falling asleep and there is a full circle with a reddish yellow color. It is supported by the sky conditions were still clean without contamination of air pollution. However, domestic and foreign tourists have not known about Banyak Island. These conditions are caused due to the lack of tourism promotion by the local governments, especially the Provincial Administration. In fact, tourism promotions of Banyak Island are even more intensively conducted a travel agent in Medan, North Sumatra. On the other hand, access to transportation to the area of ​​Singkil District, including to the Banyak Island, is still minimal. There are not many modes of public transportation from Banda Aceh to Aceh Singkil. The main way to get to Aceh Singkil is using private vehicles or hire. As for overland travel time from Banda Aceh to Aceh Singkil is 12-14 hours by road. Besides on that, from Aceh Singkil to Banyak Island, there are also only provided access to the ferry that is sailing on a daily basis. The ferry boat from Aceh Singkil to the Banyak Island is only three times a week, namely on Tuesdays, Fridays and Sundays. Similarly, from the Banyak Island to Singkil is also only three times a week, namely on Wednesday, Saturday and Sunday. The travel time of sea lanes from Aceh Singkil to Banyak Island is 3-3.5 hours. 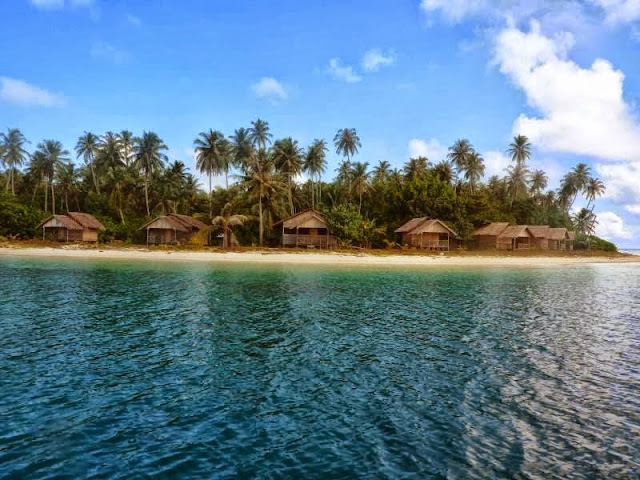 Therefore, for the current, Department of Culture and Tourism in Aceh seeks to coordinate with the Central Government, so that a number of agencies can be coordinated to develop tourism in Aceh Singkil, especially for promotion of Banyak Island. These are the places where everyone wants to visit once in a life time. Banyak Island is another island which is the best in Aceh after Weh Island, i think. Link Top Honeymoon said this island is one of 20 best honeymoon destinations in Indonesia. All times are GMT +8. The time now is 00:31.